In southern Ohio, just north of the city of Cincinnati is a fort that is technically not a fort, but that might have been a fortified settlement, but we don’t know for sure. The pink shape on the left shows the outline of the Fort Ancient earthworks. 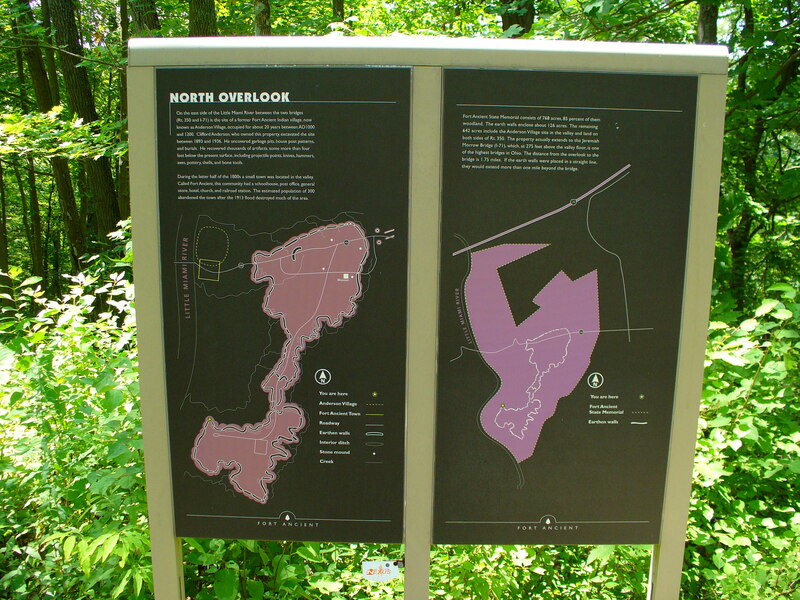 The earthen mounds of Fort Ancient, which is located near Oregonia, Ohio, were built between 1 and 200 A.D. according to the handy posters located on the grounds of the state park. They were built and inhabited by the Adena culture until about 500-600 A.D. (if memory serves). At this point their culture seems to have faded away. More is known about the Native American cultures that also revere the earthworks, but their exact relationship to the original builders is still clouded. A Native American village in the area dates from 1,000-1,200 A.D. and American Indian settlements in the area continued from then on until the well past the arrival of European explorers. Touring the grounds of Fort Ancient was instructive and illustrated to me the immense size of the earthworks complex. The mounded earthen hills themselves range in height from about 6-7 feet tall to 20+ feet or more. What the area was used for is another one of those unsolved mysteries. Archeological digs are in progress to help understand more about the area and its purpose. It could have been important for a number of reasons. The digs hope to prove that as a spiritual center there is evidence of an astronomical connection to the location. It might have been a setting for social or religious rituals. Perhaps a burial site or even a settlement, or maybe all of these combined. Other similar earthworks in the region appear to have served a variety of purposes, so it will depend on future research and archeology of the locations to confirm their actual uses. The Adena culture didn’t have a written language, unless evidence of such simply has not yet been found. If you have a chance and are anywhere near Ohio come check out Fort Ancient. There is a museum on site and other educational activities. The grounds are accessible by automobile and there is also a walking trail, which gives you a closer look at the location. You can learn a lot about a person from the way they speak. You can learn a lot about a country by the language they use. In this case, by the language that is shared by two countries. The English language is named for its country of origin, but it is shared with in use by England’s rebellious former colonies, The United States of America. That said, we really don’t speak the same language. Particularly our idioms and slang. We may spell a word the same, but that doesn’t mean we grant it the same meaning. Perusing my copy of British English A to Zed by Norman W. Schur and Eugene Ehrlich proves elucidating. I have heard of kerfuffles before, but didn’t realize it was a British word for a fuss, commotion or dither. Fascinating, although I rarely hear Americans use the words commotion or dither, perhaps fuss. Girl Scouts are Girl Guides in Britain and oddly enough if you get in a kerfuffle in your troop you might get up someone’s nose! Or in America, get in someone’s hair 0r on their nerves. A publican sounds vaguely Roman, but it really just means saloon keeper. A puncture isn’t a medical state; it is a flat tire on your car after you’ve been motoring on rough ground. A spate is a flood of something or other. And a shout isn’t something you do after you’ve had too much alcohol, but is instead the word used for treating others to a round of drinks. So here’s to speaking a foreign language that you already know! I recently acquired a thin volume called The Romans and their Empire, book two of the “Cambridge Introduction to the History of Mankind” edited by Trevor Cairns. I have lamented my lack of detailed knowledge of the Classical world and I started to remedy that by reading a volume on the Athenian Navy. Rome was also in my sights, not unlike the Visigoths of old, and now, thanks to this little jewel of a book, I’ve begun to put Roman history in its place. What I like about this volume is its short length and the breezy way history is presented. I’m guessing the target audience is a 13-15 year old or an adult history novice. It doesn’t mire itself in boring analysis, but it does demand at least a working knowledge of past events. Expectation is a good thing, it makes us strive to achieve more, in this case filling our minds with the outline of human history. The book is illustrated with photographs of ruins, reconstructed models of Roman life, maps, and some great little cartoonish illustrations of various events in Rome’s history. 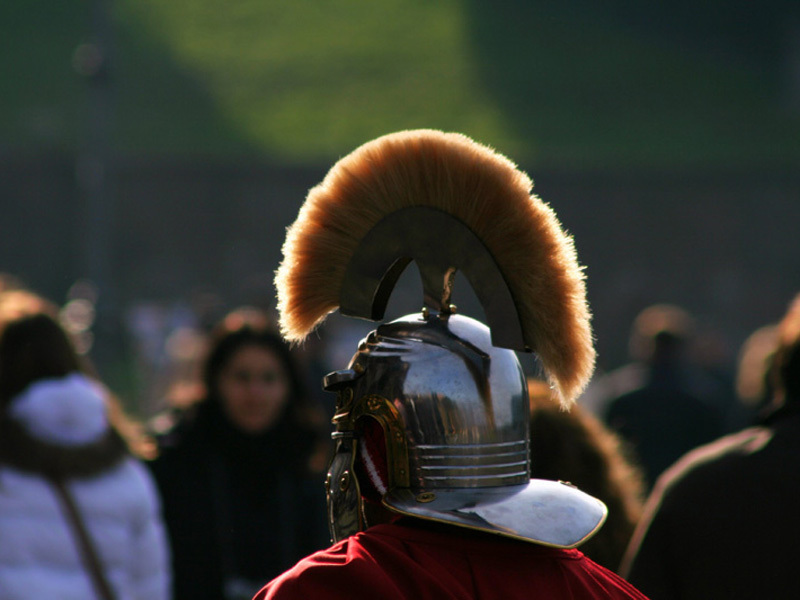 It goes by quickly, but is a rather nice outline of the Roman past from Republic to Dictators. What I’ve learned so far is that Rome was founded back in the 700’s B.C. and developed its form of representative government around 510 B.C. Gradually it conquered and collected the various tribes around the Italian peninsula into a relatively cohesive smallish empire. Apparently the Romans treated their subjugated peoples better than the Greeks had done. If you lost to Greece they could, on a bad day, kill your entire population, or maybe just the adult males, and on a good day simply sell you into slavery. The Romans were nicer, they didn’t kill you as they knew the value of positive relations and the wealth that functioning subjugated peoples could bring them. The Romans even tolerated a certain amount of religious freedom, as long as you weren’t a troublesome Christian, Jew or a Celtic Druid. But alas, their republic couldn’t last forever, as it seems, can any modern republic of which we see evidence each day in the United States. As the empire expanded the power of the people shrank. In 46 B.C. Julius Caesar became Emperor of Rome, principal citizen, and dictator. The republic survived in form if not in deed. The senate could not thwart the will of the Emperor (more pity that) and for a while the arrangement worked as long as there was a series of good Emperors, but then they wound up with a whole slew of rotters and things got bad. That’s the jist of the story. Good book, good resource, unfortunately out of print, but Amazon.com, BarnesandNoble.com or other booksellers probably have a used copy or two. If you want to develop a working outline of ancient Roman history without bogging down in excess information, this is your gateway. You can add the details later! I don’t know about you, but I have often wondered what it would be like to travel back in time and live in a different technological era. See how each day was shaped and view the variety of daily activities. Running water, electricity, public utilities, cars, and computers are merely a small sampling of things we take for granted, but which shape our day. How often do we get up in the morning and use the fancy indoor plumbing that inhabits small rooms throughout our houses? Everyday, multiple times! But imagine how different the day would be if we didn’t have those small rooms! Instead we would resort to a chamber pot or an outhouse, no plumbing. How about showering? Brushing teeth? No indoor running water – instead we would have a big tub, a stove to heat water on, and a pump outside that we would wrestle up and down whenever we needed H20. 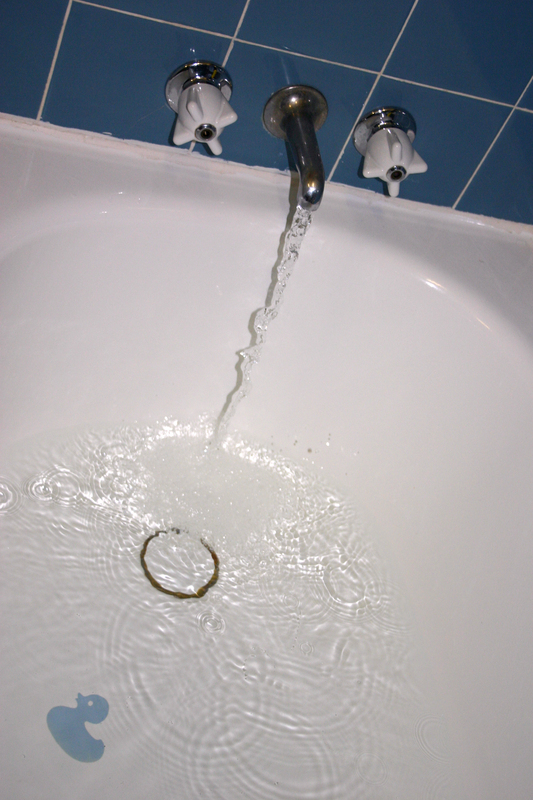 You know the old phrase “draw me a bath?” Well, people literally drew the water up through the pump and lugged it to the tub. Life was work. Here is the history lesson: don’t take anything for granted. Knowing the details of how our predecessors struggled to make a living keeps us grounded. Some people collect antiques. Some collect old cars. Many collect old books. There are innumerable items to collect and most often we associate certain things with history, like antiquities. As exciting as ancient pieces of statuary may be, they are expensive, often hard to move, and quite frequently illegal to gather. I have a solution. It requires no storage, no expense and is, as yet, quite legal. I urge you then to collect old sayings! These are the short pieces of advice that have been around for centuries. Some are extremely useful and some are not. There you are. I’ve started you off with your own small collection. Add to it as you come by a funny old saying, factual or not. Listen for these from older family members and friends. If you don’t have access to these resources whose sayings will vary by region and nation, then look to books. These sound bites are a direct link to history. They tell us how people thought in the past, what they believed, and how they acted. To keep the thread of history alive, start collecting today! I remember jars of preserves on my grandma’s shelves. When I was little and my family would go on our annual cross-country visit to my grandparent’s home in Oregon, I always looked forward to a yummy dish of canned cherries or plums. Not the kind from the grocery store that swims in high fructose corn syrup. Nope, the good old-fashioned home-canned variety in its own juices, some additional water and a bit of sugar. 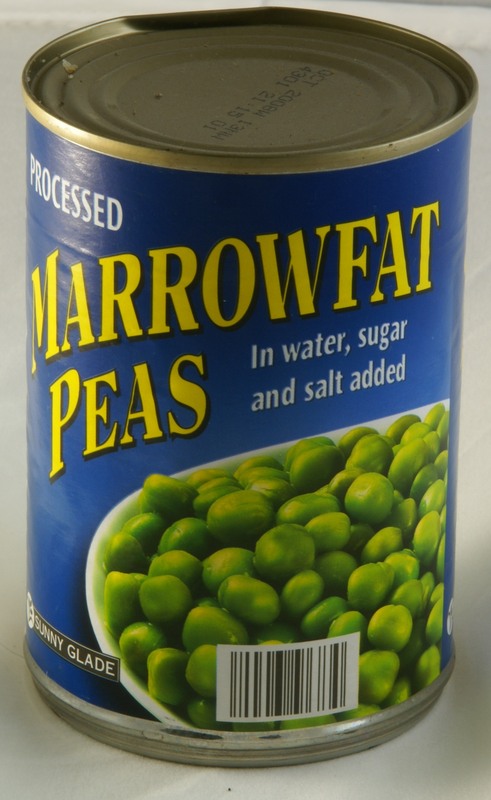 Best of all in a glass jar instead of a metal can sprayed with plastic. In a dark, back corner of the house was the pantry in which the jars were stored. By the time I was a youngster grandma was putting up less home canned goods because the stores were filled with affordable options. However, in past years she and many like her put in a great deal of work each year to grow and put up produce. Great pride was taken in one’s beans, tomatoes, peaches, berries, pickles, and mincemeat, etc. One scene in the movie State Fair typifies this domestic skill and pride. The main character and her mother, Mrs. Frake, are watching a contest at the state fair in which mother’s pickles and mincemeat are up for prizes. As the contestants anxiously wait, more than a few smug looks are shared by the previous year’s winner, until she finds out she lost to Mrs. Frake. Producing the most delicious home canned goods from one’s own garden was a big deal. Much more of America farmed and lived off the land at that time. People were tied into the earth and very proud of what they could produce. Proud they were of the self-sufficiency of which they were capable. The next time you reach for a can of peas think about the task of putting food up. Think about what kind of work went into growing, harvesting, cooking and canning those peas so you could buy them at the store. Now, imagine doing all that work yourself! That’s history! A while back I wrote a post about gateways to history. These are sneaky ways to get interested in history if you weren’t blessed with splendid history teachers. It’s time to revisit. Specifically, fiction books. How can fiction and history be mentioned in the same breath? Isn’t fiction more or less a mess of lies, accounts of things that never happened? And isn’t history, ideally, an account of things that did happen? Yes, and yes, but fiction we are supposed to know is not true, and history, we are supposed to assume has been researched for veracity. So, how can the one be useful for exploring the other? Fiction is fun and, for some, history is boring. Sad, but true, but if you use the fiction as a jumping off point, you get the benefit of the fun which will hopefully be carried along into the study of the history, thereby making it fun too! Now for the Clive Cussler part. 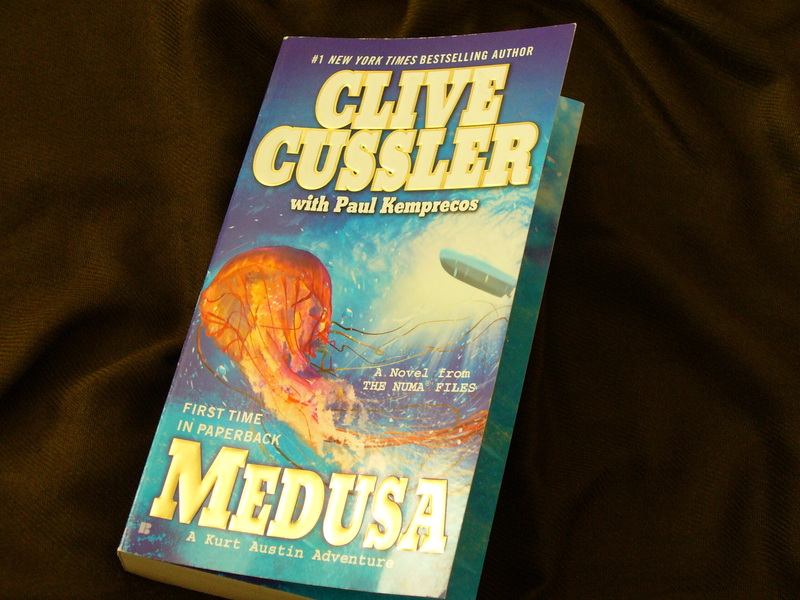 I just started reading Medusa, a mystery by Cussler and co-author Paul Kemprecos. The book is one of several in a series that feature the protagonist Kurt Austin, a tough, marine researcher and systems specialist. As is often the case with Cussler books, the story begins with a flashback in history. In this case the whaling industry of the mid-19th century. Then in the present-day setting of the bulk of the book, reference is made to William Beebe and the bathysphere (submersible sphere) in which he launched himself in the 1930’s. These are prime examples of history nuggets. They are the bits of accurate history that give a realistic touch to works of fiction. They are also history gateways. I like to take these gateways when I’m working through a book like Medusa, do a little bit of my own research to further my store of historical knowledge. Sometimes I also want to make sure the author I’m reading is accurate, not all are as conscientious as Cussler and company. So, the next time you pick up a piece of fiction, a favorite mystery or adventure, look for the history nuggets. If they strike your fancy, dig a little deeper, and as you travel to a different time and place in the past carry the fun with you and you’ll discover that history can be a blast!